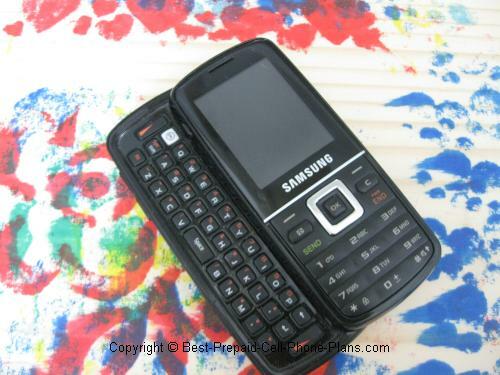 The Net10 Samsung T401g features a 1.3 megapixel camera, mp3 player, Bluetooth, a QWERTY keyboard, and a lower rate for texting. 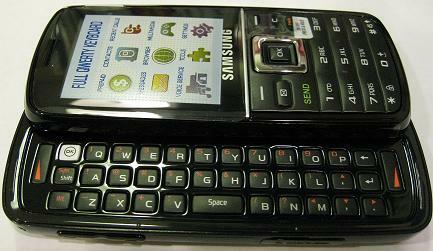 The Samsung T401g is the first Net10 phone to offer a QWERTY keyboard for easy typing or your text messages. While the small keyboard for making calls is made of sealed rubber keys to keep out the dirt, the slide out keyboard has real individual buttons for a much better feel. It's successor, the T404g has a slightly different layout and keys. When it was first introduced, text messages on this slider phone cost only 0.3 minutes each (about 3 cents) to send or receive on the 10 cents per minute Pay as you Go plan. On all other Net10 phones, they cost 0.5 minutes each. So if you wanted a Net10 phone, and you do a lot of texting, this was the one to get. I'm not sure this rate is still available. Note: On the 750 minutes $25 30-day plan, text messages cost one minute each which comes to about 3.3 cents each. While texts are cheaper, calls cost 10 cents per minute on the Pay as you go plan or 3.3 cents per minute on the 750-minute 30 day plan. There is also an unlimited plan for $50 per 30 days. The 1.3 Megapixel camera on the Net10 Samsung T401g takes some pretty good pictures at 1280 x 1024. This is definitely good enough for posting online or sending in an email. You can even make some small prints from them if you’re careful. There is a digital zoom, and you can adjust between nighttime and daytime modes. Web Exclusive! Get the Samsung T401G for only $4.99 from Net10 Wireless! You can also adjust the brightness for these setting. The camera is best set for taking picture on a sunny afternoon day, so if you are taking picture in the late afternoon or early evening, you should adjust the brightness to +1 or +2. You can even record some audio to go with the photos you take. This is great for taking notes of your pictures, or recording the voices of the kids after the photo. You can even edit your images and add effects right on the phone itself before you send them via picture message or via Bluetooth to your PC. You can download your photos all at once from your Net10 Samsung T401g to your PC using Bluetooth. This is really quick, which is great if you take a lot of photos, because the 1.3 megapixel photos would otherwise take up quite a bit of airtime to send via picture message. Yes, you can even take video with the camera on the T401g. However, the videos are not all that great. So if you like taking a lot of video you might want to get a separate pocket video recorder instead. You can hear your favorite tunes on your Net10 Samsung T401g using its MP3 player. You store the songs on a microSD card (not included). You do need a special adapter to plug in a regular set of headphones. The voice recorder has more uses than just adding a sound clip to your photos. You can also make “mental” notes of any thoughts or ideas that may occur to you through the day or at night before going to bed. If you ever get nervous before making important calls or presentations, you can use the voice recorder to practice. It’s not perfect but sometimes makes a big difference. The Net10 Samsung T401g features some mobile web capabilities. You can’t go to any site, but you can go to the big three: Google, Yahoo, and MSN. You can check your Yahoo mail, Hotmail, and Gmail, which is great because it usually means you can also . . .
You can set up these services to retrieve email from other accounts using POP. That means you can access most of your email accounts on this Net10 phone. Using the Mobile Web is somewhat slow and does use up airtime, but it can be handy when you really need to check something and don’t have access to a computer or if your internet connection is down. In addition to surfing these websites, you can also directly download sports, news and weather information from Net10. 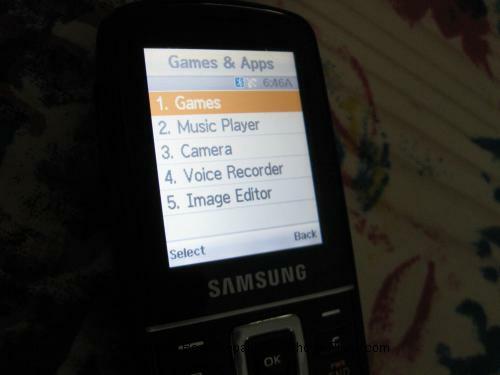 While the phone come with a small selections of ringtones, a couple of games and a few default graphics. You can download additional games, ringtones, and graphics in exchange for airtime. So those are the big features that make this an attractive phone. Now let’s go over some of the basics. The T401g weighs 4.34 ounces – due to the slide-out QWERTY keyboard which also makes it a little thicker. 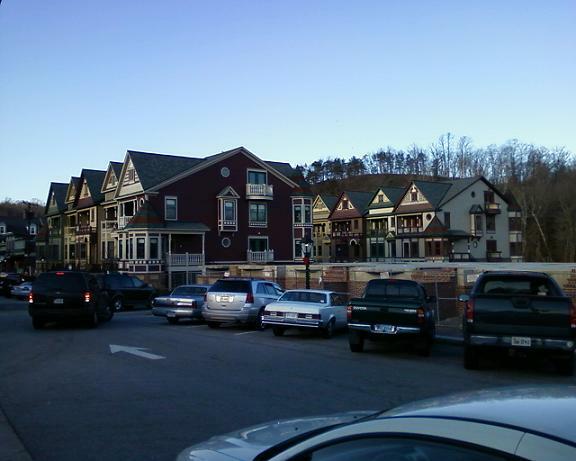 It measures 4.5 inches long, 2 inches wide, and about 5/8 of an inch thick. All in all, it feels lightweight but substantial. The phone has pretty good battery life. The talk time is 5 hours and the standby time is up to 15 days. One tip for increasing battery life is to turn off Bluetooth when you don’t need it. The Net10 Samsung T401g has a 1000-entry phonebook, which is pretty good. This phone is HAC rated M3 which is passable but not great. Calls to over 60 international destinations cost an additional 5 cents per minute on the pay as you go plan. For the monthly plans you can opt for the international plan. For many countries, you can probably find a dedicated international calling card with an 800 number that costs less than 5 cents per minute, but it’s still great to have a fairly low-cost alternative for short calls. You can check out the official Net10 Samsung T401g manual (pdf) here. This is the real 76 page manual from Samsung and shows you how to use all the features of the phone. All in all, the Net10 Samsung T401g is a reliable prepaid cell phone that still offers many great features for the price. 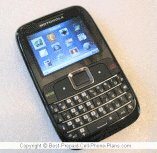 This was possible the first QWERTY phone offered by NET10 or Tracfone. Since then there have been a few more in addition to the T404g mentioned in the main review. The Samsung S390G offered WiFi access and other goodies to go along with its polished keyboard. Meanwhile, the Motorola EX431g was more of a compromise in terms of features but was notable for its squat appearance and rubbery keys. The LG 900g was the first Net10 phone capable of (or allowed to) run Java apps. Fit and finish were great but memory capacity turned out be a bit low to run many apps.